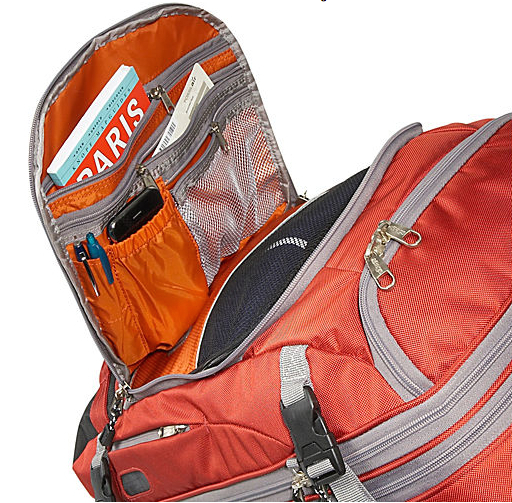 The eBag Mother Lode TLS Weekender Convertible. I’ve been field-testing the eBags Mother Lode TLS Weekender Convertible bag for several months and it has quickly become my favorite bag. 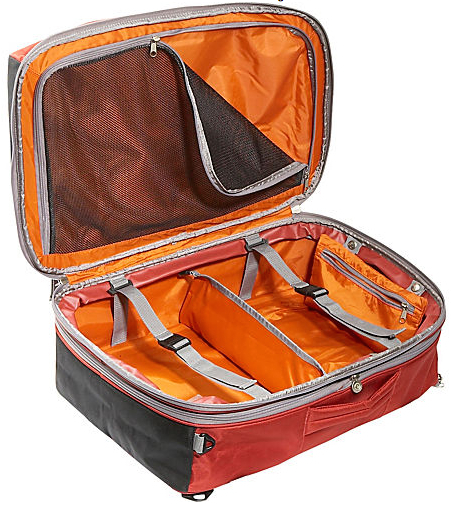 The eBags Mother Lode TLS Weekender Convertible offers tons of room and handy compartments that help you keep your stuff organized on the road. 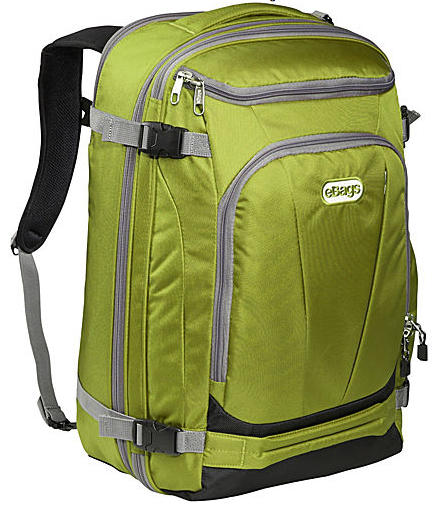 It’s also extremely lightweight–less than four pounds empty–so along with the comfortable padded straps, it’s easy to carry for long periods. But my favorite feature is the absurdly large number of different compartments and pockets that cover the thing inside and out. I was amused at the sheer number of them when I first started carrying it, but against all expectation I somehow ended up using every one of them. Almost. The Weekender has also allowed me to slim my carry-ons down to a single bag. I used to carry a separate laptop shoulder bag as I didn’t quite trust my former bag to protect my computer, and the awkward design made hauling my laptop out at a moment’s notice a pain. But with the Weekender’s adjustable laptop storage sleeve, cleverly situated at the top of the bag, I can easily pull out my MacBook without having to disrupt the interior contents of my carefully packed bag. And the sleeve has an integral sling that gently cradles your laptop between a thick foam panel and the contents of the bag, so it’s safe, too. Highly recommended!